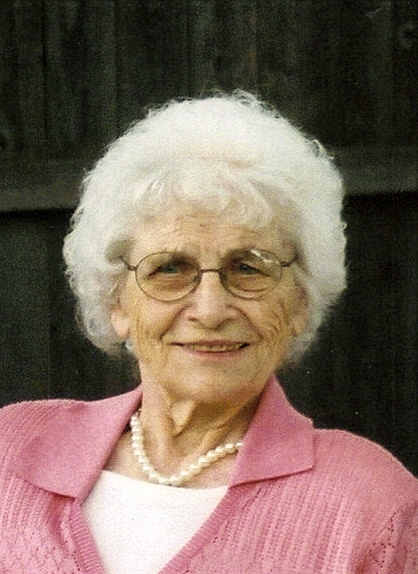 Elsie Weis of Sioux Falls died at Sanford Health Systems on October 29, 2009. Elsie (Aschoff) Weis was born on May 22, 1925 to Henry and Theresa (GrossRhode) Aschoff in Osmond, NE. She moved to Sioux Falls in 1941. She married Jerome Weis on May 22, 1951 at St Joseph Cathedral in Sioux Falls. Elsie worked for many years as a receptionist at St. Mary's Clinic and later for the Sioux Falls School System. She retired in 1989. She was an active member of Christ the King Catholic Church, a volunteer at the St. Francis House, St. Vincent De Paul store, South Ridge Nursing Home, and Meals on Wheels. In addition to her husband, survivors include four sons: Mark of Sioux Falls, Greg (Mary) of Plymouth MN, Ronald of Corona CA, Tom (Nina) of Charlottesville VA.; two daughters: Patricia (Tim) Pugh of Pierre SD, Monica (Gregg) Helms of Sioux Falls, special friend Barb Weis of Sioux Falls; seven grandchildren, two great-grandchildren; four sisters: Mercedes Usey of Houston, TX, Angela Aschoff and Rose Ann Ryan of Sioux Falls, Barbara (Duane) Hansen of Renner, SD. ; three brothers: Bill (Glenda) Aschoff of Niobrara, NE; Ronald Aschoff of Osmond, NE; Jerry (Kay) Aschoff of Madison, NE, and many nieces and nephews. The family requests that expressions of sympathy take the form of donations to the St Francis House or Mother Theresa endowment fund in lieu of flowers. Visitation will be Sunday, 5 PM at Barnett-Lewis Funeral Home with a Scripture Vigil at 7 PM followed by the Rosary. Mass of Christian Burial will be Monday, 10:30 AM at Christ the King Church with burial to follow at St. Michael Cemetery.